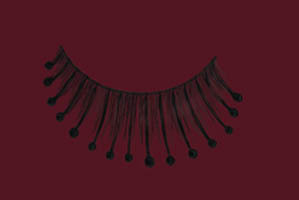 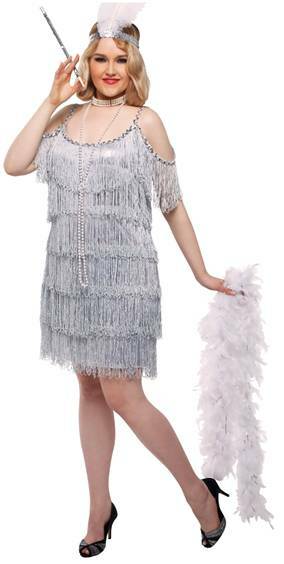 A classic style of flapper. 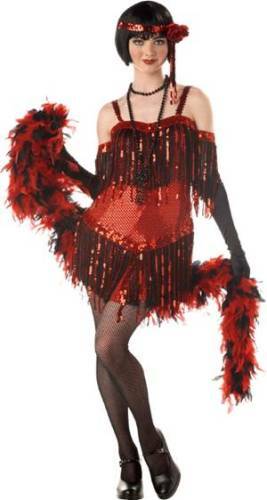 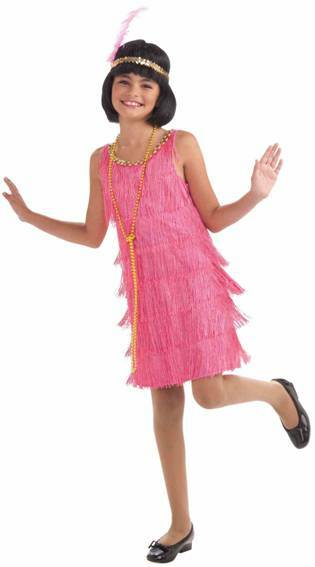 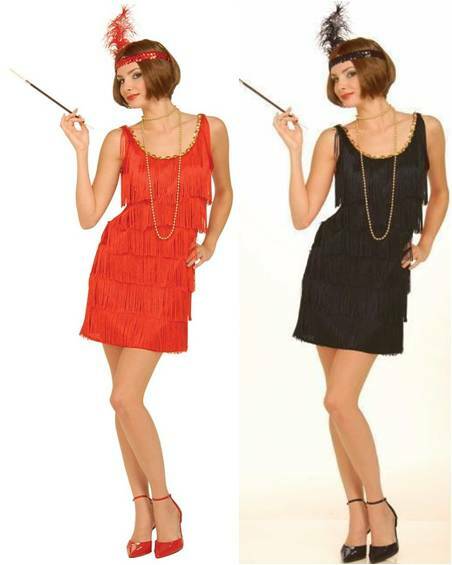 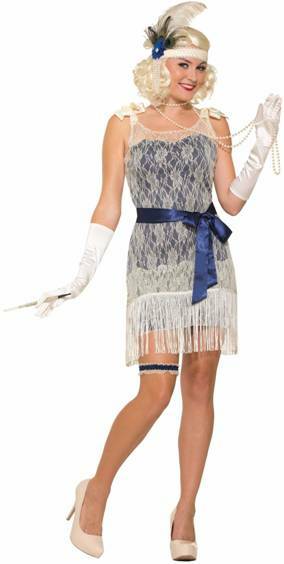 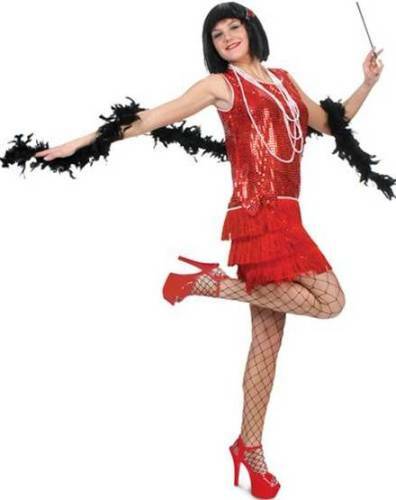 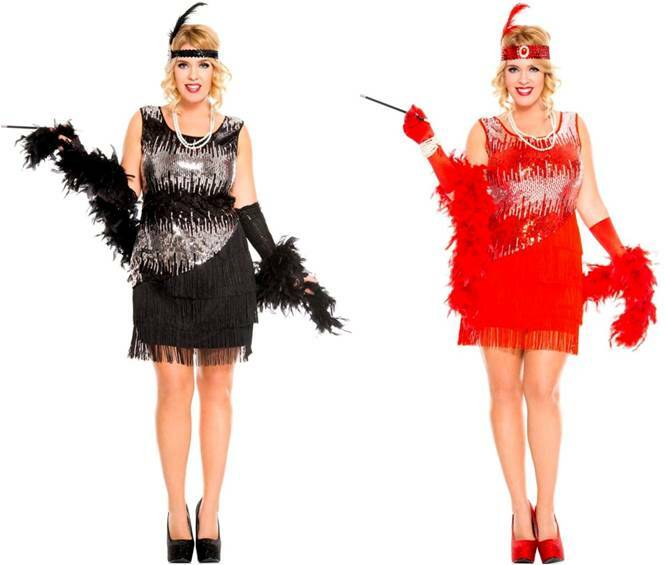 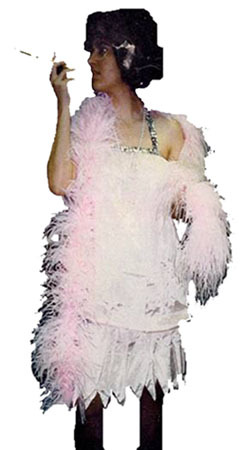 This intricate deluxe fringe flapper costume includes the dress and headpiece. 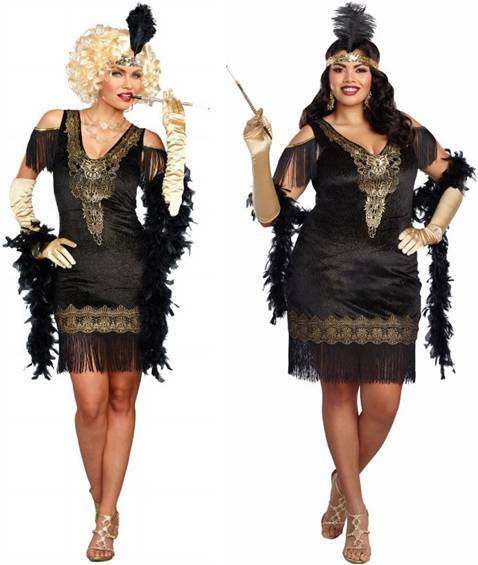 L/XL size is size 14-16. 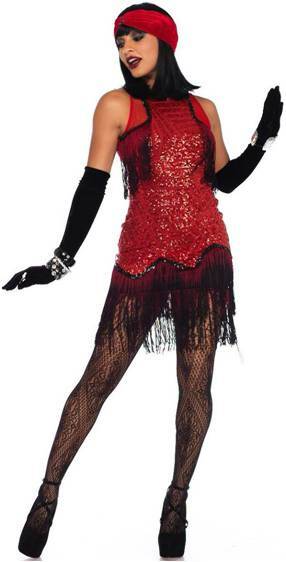 HIGHLY RESISTANT FISHNET PANTYHOSE CAN BE USED FOR ALL COSTUMES.